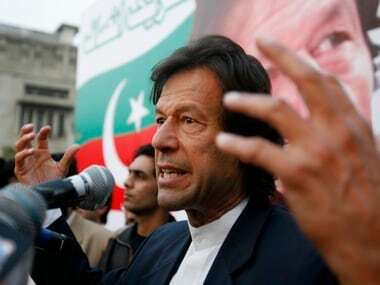 Lahore: Pakistan Tehreek-e-Insaf (PTI) has confirmed party chief Imran Khan's marriage to his spiritual guide Bushra Maneka, thus ending weeks of speculation about the union. Khan, a cricketer turned politician, married Bushra Bibi (also known as Pinki Pir) in a simple ceremony held in Lahore on Sunday, PTI spokesman Fawad Chaudhry said in a tweet. He said the marriage ceremony was held at Maneka's brother's residence in Lahore. PTI Central Executive Committee member Mufti Muhammad Saeed performed the 'nikah'. "Marriage is the combination of two hearts and two souls which join each on this special day of wedding. I wish a very happy and blessed married life to Imran Khan," Chaudhry said. "The valima ceremony will also be held in a simple manner in a few days," he said. 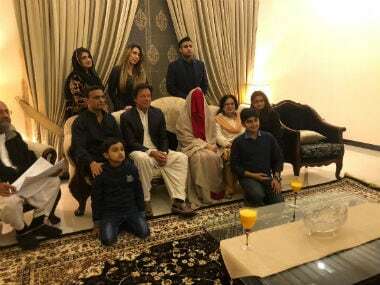 The PTI's media wing released pictures of the marriage ceremony in which Khan is seen wearing shalwar kameez and black jacket while the bride is decked in red suit with woolen shawl. 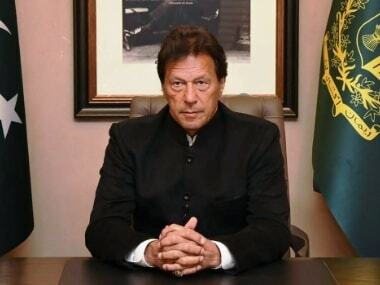 None of Imran's sisters was present in the ceremony triggering rumours that Khan had not taken them into confidence about his third marriage. Khan's previous two marriages ended in divorce. His first marriage was with Jemima Goldsmith, daughter of a British billionaire, in 1995, which lasted nine years. Khan has two sons from her. His second marriage with TV anchor Reham Khan in 2015 ended after a brief 10 months. Earlier, Khan had rejected the reports that he had contracted his marriage with Maneka on 1 January in Lahore's Defence residence of his 'new' brother-in-law. A source in the party said Khan was under immense pressure from the PTI to disclose his third marriage after a humiliating defeat in Punjab's Lodhran district last week. "The PTI leadership was of the view that strong rumours about his third marriage had played a role in the defeat of the party’s strong man Jahangir Tareen's son at the hands of a candidate of ruling PML-N," he said. 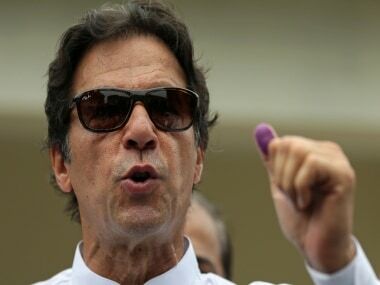 "Khan was advised to disclose his marriage as early as possible because the general elections are not far away and the PTI may suffer more politically if this news was broken just before the polls," he said. Maneka is in her late 40s and has five children from her first marriage. She is a resident of Pakpatan district, some 250 kilometres from Lahore, which is known for the shrine of Baba Farid Ganj Shakar. According to a source, Khan had started visiting her over a year ago to seek spiritual advice. "He got closer to her when some of political predictions she made about his party came true. Later, both developed some 'intimacy' and finally Bushra took divorce from her husband and contracted marriage with Imran early last month," the source said. Last month, Khan had admitted that he had proposed marriage to Maneka. "I would like to reiterate that every time I met her, with family and alone, she has been in purdah (veil). My interest in her lies in the fact that I have not seen or met anyone with her level of spirituality. I only sent the proposal for marriage after she divorced her husband," said Khan.